For our full coverage on homelessness, click here. Photos by Brian Addison. Graphics by Baktaash Sorkhabi. Our free talk series, Emphasize, will continue hosting its public forums on Thursday, April 5, with a discussion and free screening of the documentary, Skid Row Marathon, at the Art Theatre on Retro Row. Following the success of our previous Emphasize events, we will continue hosting these face-to-face conversations that invite some of the nation’s leading experts on complex topics to talk to Long Beach one-on-one. Our talk on homelessness will precede future talks on gentrification, urban design, and Vision Zero. On Thursday, April 5, we will welcome director of Skid Row Marathon, Mark Hayes, along with other speakers, to join us for not only a screening of the documentary but a healthy, balanced discussion of the issues surrounding homelessness. The documentary, inspired by an article in the Los Angeles Times story of Los Angeles Superior Court Judge Craig Mitchell, who created a running club for those in the city’s infamous Skid Row area—where Hayes and his wife, Gabriele, decided to go for a run with the judge and those experiencing homelessness. Four years later, the product of Skid Row Marathon became a reality. We also welcome two experts studying homelessness, Sara I. Villalta and Colin Bernatzky. Villalta is a doctoral student in Sociology and a Fellow at the Center for Network and Relational Analysis at UC Irvine. Sara’s research lies at the intersection of race/ethnicity, immigration and inequality. Bernatzky is a PhD student in Sociology and Fellow at the Jack Peltason Center for the Study of Democracy at UC Irvine. Before arriving at UCI, he was a grant writer for the Osborne Association, a New York City-based nonprofit dedicated to criminal justice reform. Together, they ahve served as the graduate student researchers in the recent homelessness study conducted by UCI professors David Snow and Rachel Goldberg in collaboration with Orange County United Way, Jamboree Housing, and other key stakeholders. 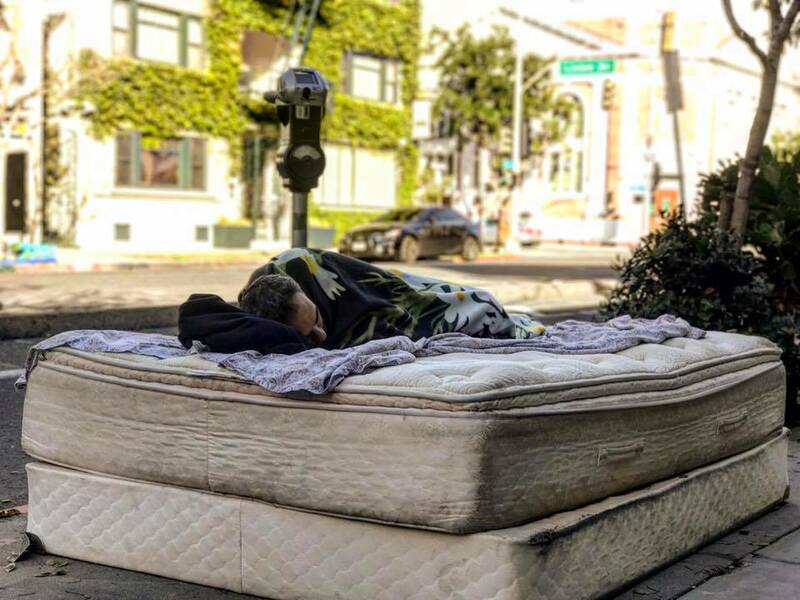 The findings from this research culminated in a report titled “Homelessness in Orange County: The Costs to Our Community,” which was released in Summer 2017. The film and discussion, as with all Emphasize events, are entirely free and open to the public. For more information, click here.